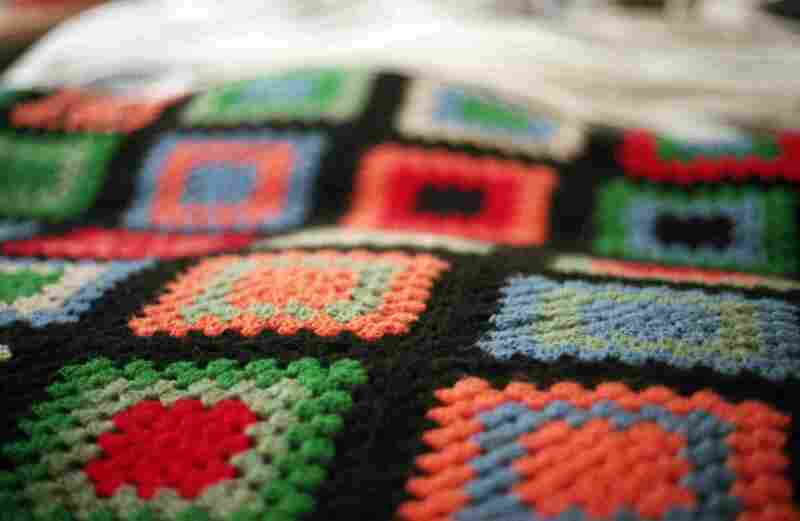 Granny square afghans are easy to crochet and wonderfully versatile. You can crochet granny squares in just about any yarn, thread or fiber imaginable. The squares are small and portable so you can work on them anywhere as well. Once you've crocheted a stack of them, it's easy to turn them into a throw or afghan. All you have to do is sew the squares together and add an edging. You can get inspiration from these free granny square afghan crochet patterns. Make them for gifts or as charity projects. 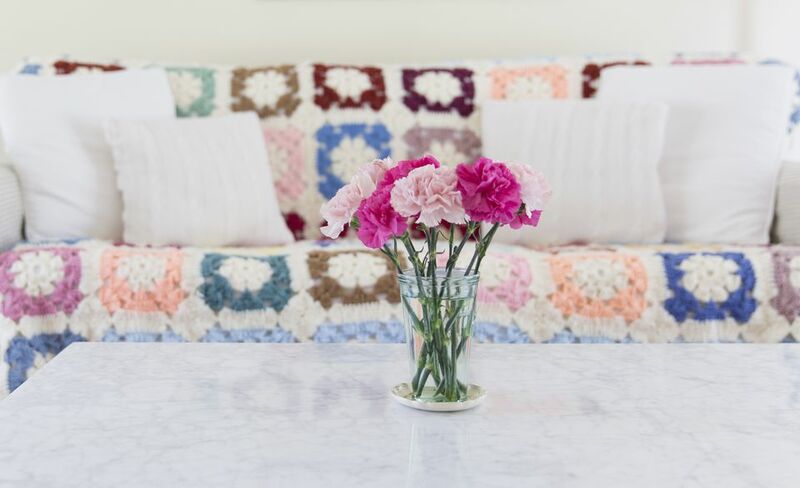 Use a vintage crochet pattern to create a classic granny square afghan. This pattern uses 192 4-inch squares. It can be a great way to use up scrap yarn and transform it into an heirloom. Two different 4-inch floral squares are combined in this lovely granny square afghan. Alternating them creates a lovely design. But if you prefer one over the other, you could certainly work it in different colors and alternate that square. If you don't want to make a pile of granny squares to join together, just keep working a single granny square into an afghan. This is perfect for when you want a square afghan. Not every crocheted granny is a square; some grannies are hexagons, pentagons, and other shapes. One example is a floral hexagon is loosely based on the granny square; it has six sides instead of four, but otherwise it has many similarities to the granny square. Put hexagons or pentagons together for a lovely afghan. Simple floral center granny squares can be worked in one or more colors. These can create afghans as beautiful as any garden. If you'd like a lighter afghan with lots of openwork, this pattern is a lovely choice. You can use just about any yarn or crochet thread for working this square, but it is best to use thread or very fine yarn. If you like the idea of simply crocheting a single giant granny square as an afghan, but you want it to be rectangular, this is a fun pattern to try. It comes from Erin Lindsey, who shows how to do each row. While many crocheters love granny squares because it's relaxing to simply work the same pattern over and over, this afghan is more of a challenge. Celebrate100 years of Caron yarn with this free afghan pattern comprised of 100 different motifs in different sizes, all put together in one lovely afghan. At the Red Heart website, find a free crochet pattern for a granny square throw crocheted using Red Heart Super Saver yarn. This is an intermediate level crochet pattern. The throw was designed by Barbara Swanson. This update to a classic granny square makes them into diamonds for a modern throw, complete with tassels. You can work it in a combination of bold colors and neutrals to add pop to your decor. This spectrum granny square pattern is a classic that nevertheless looks modern and can be worked in striking colors.